The business behind a Rathlin Island-produced pesto described as the best outside its Italian birthplace will be offering Tesco customers a taste of the unique product through its ongoing artisan programme. 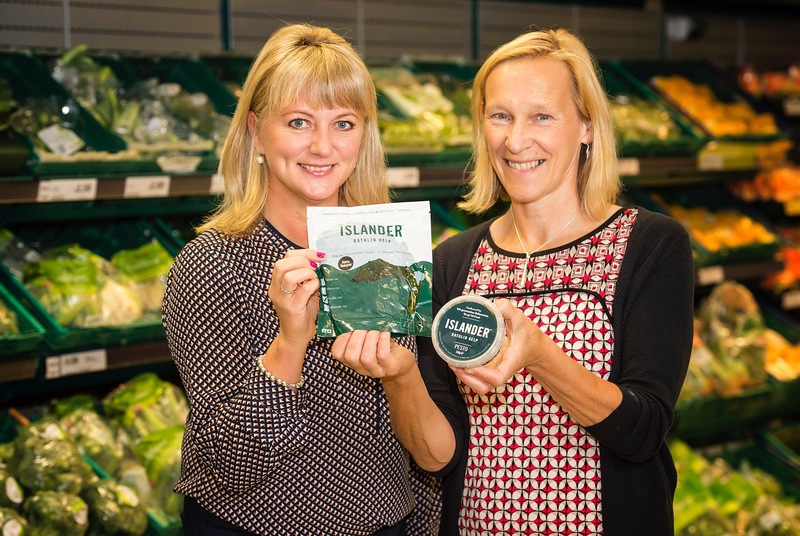 Islander Kelp, currently only available in the finest restaurants across the UK and Ireland, will bring the flavour of the clean crisp waters off Northern Ireland’s most northerly coast to shoppers at Tesco’s flagship Newtownbreda store. Managing director of parent company Ocean Veg Ireland, Kate Burns, who runs it with her son Benji McFaul, will offer samples on four dates throughout September – on Fridays 9, 16, 23 and 30 from 11am until 4pm. The pop-up sessions will provide the first market tests for retail packs in what is Kate’s third year in business producing the health-boosting natural marine product which is packed with nutrients and more calcium than even kale. Ocean Veg Ireland is the sole Europe producer of the unique product whose range includes kelp shredded into spaghetti and tagliatelle noodles and pesto. Tesco Newtownbreda’s customers will learn for themselves what prompted celebrity chef Marco-Pierre White to describe the pesto as “the best I’ve tasted outside Genoa”. The Michelin-starred gourmand gave the product the supreme compliment after sampling it at the exclusive, luxury hotel Castle Leslie in Monaghan during a recent visit. Islander Kelp is available, for the moment, in four top restaurants in London, two in Glasgow and around ten in Ireland, including in Northern Ireland Belfast’s Merchant Hotel, Lough Erne Resort in Enniskillen, Ballymena’s Galgorm Resort and Spa and Balloo House in Killinchy, Co Down. Pesto, traditionally a mix of crushed garlic, pine nuts, basil, parmesan cheese and olive oil, dates back to Roman times but was first documented in its modern guise, using basil, in Genoa in the mid-18th century. Islander Kelp’s pesto adds kelp to the basil mixture from forests farmed and harvested off Church Bay in Rathlin Island, where Kate raised her family and followed a life devoted to more scientific pursuits than culinary. At 58 she came late to the industry, following a very senior career in rural and marine development across Ireland, Europe and the United States. But Kate finally decided to put her money where her mouth was, transferring her passion for marine life into a food business. “As part of my work I’ve been advising people for years about starting up their own businesses so I thought I’d have a go and try it myself. Taking the product to a market who hasn’t tried this before, Kate’s efforts to bring it to the general consumer are founded firmly in the feedback received from those who have tried it in the restaurants. “There’s not a week that goes by without people asking us where can we buy it,” she revealed. Tesco NI’s Marketing Manager Caoimhe Mannion said: “We are so delighted to support another innovative local company by adding them to the ongoing Tesco NI Artisan Programme. “Similar budding artisanal entrepreneurs, who possess minimum SALSA accreditation, can enquire about the Tesco NI Artisan Programme by visiting http://www.facebook.com/tastenorthernireland.